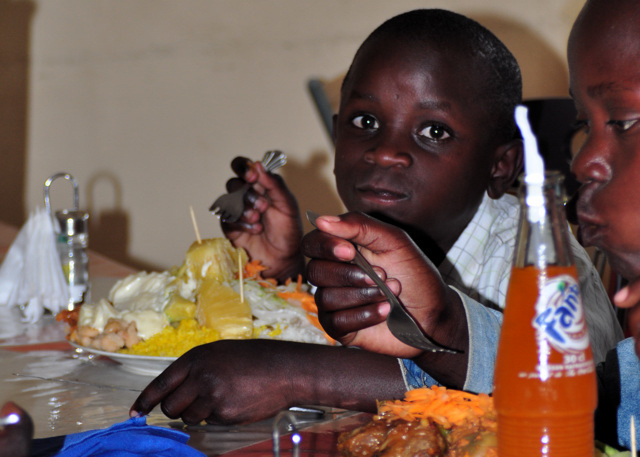 With half a million orphans, Rwanda has one of the highest per capita orphan-populations in the world. This is a direct result of the horrific genocide that took place 17 years ago. My two housemates Sean and Jenny run an orphanage to give a home and love to some of these orphans. They do a tremendous job, leaving behind their comfortable lives back home, to care for more than 100 boys day in and day out. Their efforts do not go unnoticed and talking to some of the children makes you feel the overpowering gratitude towards this young couple together with all the local staff that care for them, teach them life skills, Math and English. As each boy has his own story to tell, his unique character and smile, I want to use this blog to voice just one of them. It is the voice of Lucky. That is the street child’s life. At the end of each schoolterm Sean and Jenny take the best stud ents of their class out for a free buffet lunch. It is hard to imagine just how much excitement this brings to the boys. Even harder to imagine the quantities with which the little boys pile up their plates. To the right a photo of the youngest student Emmanuela piling up his plate just like the older boys and he ate every bit of it. 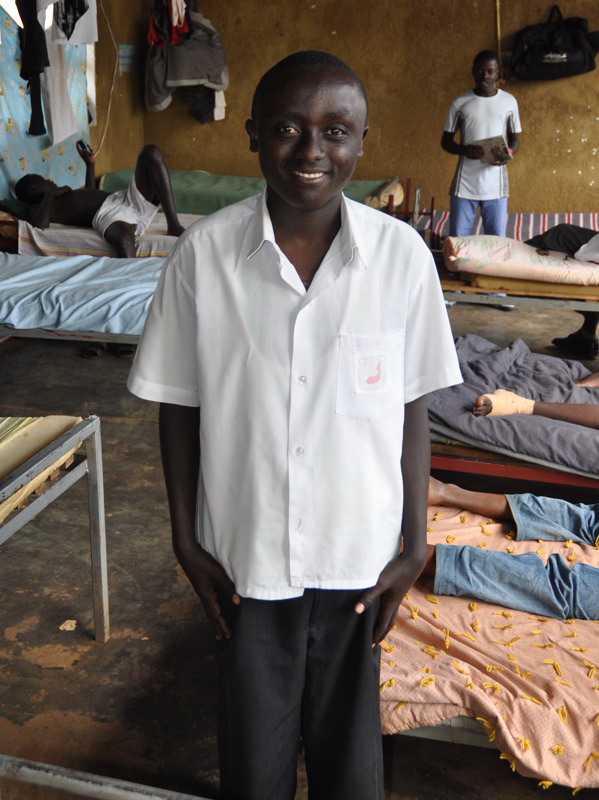 Take a moment to read the heart-touching story of this young bright one here. 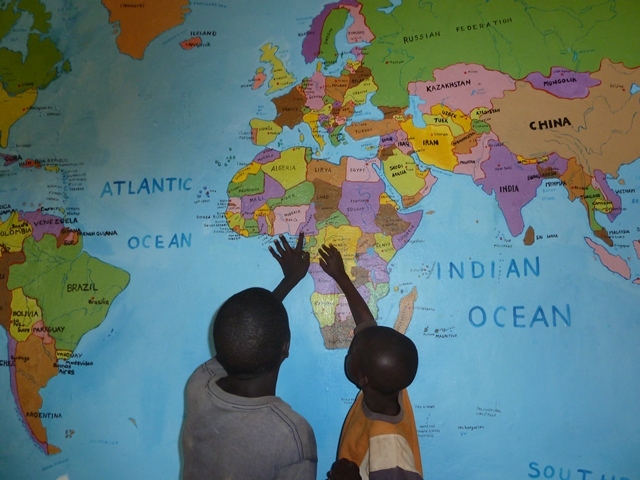 I tried to have some of the boys point out their country on a giant map of Africa painted on the wall, the closest they got was Cameroon, until one of the brighter boys managed to find the little country they are actually living in. Cooking for over 100 boys every day ain’t peanuts. 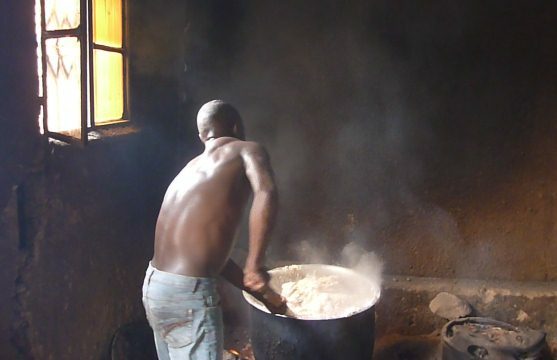 The center’s cook came in as a skinny guy, but rearing in a giant maize meal pan works on your muscles as the picture shows. This entry was posted in Uncategorized and tagged orphans, poem, rwanda, street children. Bookmark the permalink.